A quick, easy to use concentrate effective for treating blemished skin. Blemish will dissipate quickly after use, normally within one to two days. USE: Apply directly to blemish or problem area. Avoid contact with eye area. 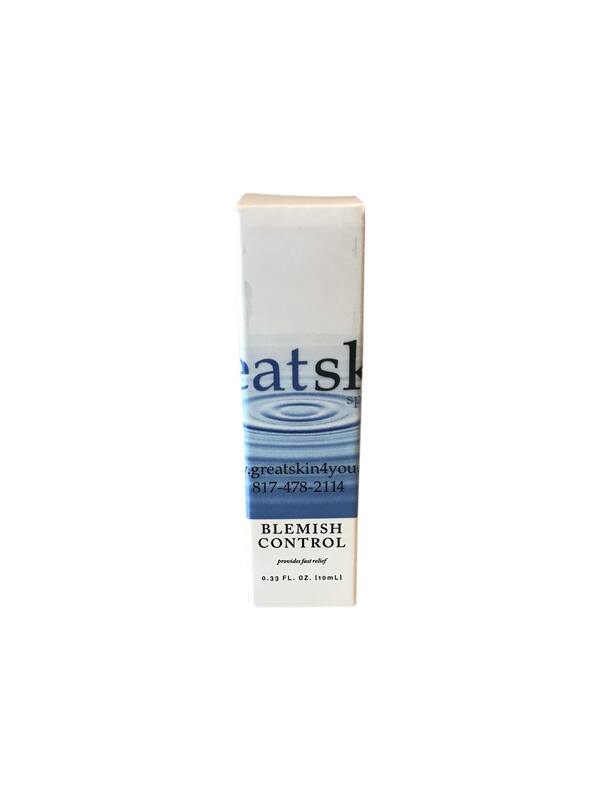 Let Blemish Control Treatment absorb completely before applying moisturizer or make-up. BENEFITS: A quick, easy to use concentrate effective for treating blemished skin. Blemish will dissipate quickly after use, normally within one to two days. Designed to absorb excess oils and to provide antiseptic effects for irritated skin. Salicylic Acid, a Beta Hydroxy Acid will naturally exfoliate surface dead skin to clarify the skin.